Magic happens at Tahitian Princess II in North Myrtle Beach, South Carolina where beautifully designed and comfortably laid out seven-bedroom, six-bath North Myrtle Beach condominiums are luxurious retreats. Tahitian Princess II is a North Myrtle Beach resort that is located right across the street from the Atlantic Ocean. The sun deck features a sparkling blue swimming pool, kiddie pool and hot tub. The ocean is steps away and it laps at white, sandy beaches upon which families play and couples relax. Find a harbor from the ordinary when you include Tahitian Princess II in your next North Myrtle Beach vacation plans. Gorgeous interiors filled with convenient amenities for gracious living and a fabulously sculpted balcony will make your North Myrtle Beach vacation memorable. Soak up the sensational views while you enjoy a cocktail in the tranquility of your own North Myrtle Beach condominium rental. Linger on the beach where you can walk, swim and relax your way through a fabulous North Myrtle Beach vacation. Warm sand on bare feet is a natural spa experience in which you are invited to indulge every day of your stay at Tahitian Princess II North Myrtle Beach resort. North Myrtle Beach, South Carolina is a unique blend of family amusements and attractions. From shag dancing at local beach clubs where beach music is always playing to miniature golf courses that are open late into the evening up and down Highway 17, North Myrtle Beach, South Carolina has something for everyone to enjoy. Be seated at one of your favorite seafood restaurants where your family can dine on fresh shrimp, succulent oysters and all-you-can-eat crab legs. There are oceanfront restaurants and restaurants on the Intracoastal Waterway. Eat inside or outside in casual or elegant atmospheres. 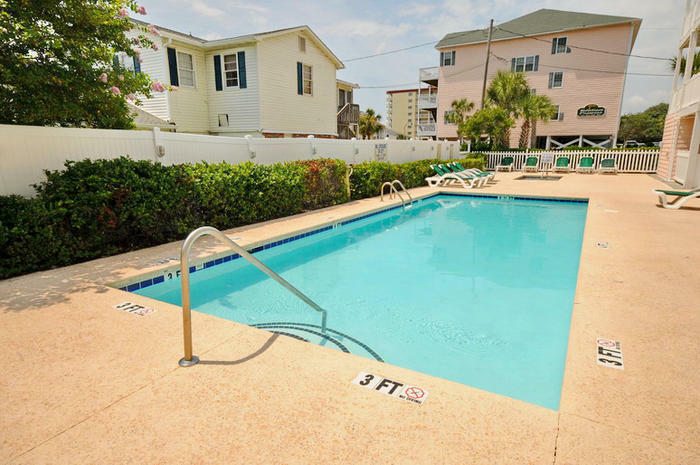 After a fun meal in North Myrtle Beach, South Carolina, retreat to your incredibly spacious North Myrtle Beach rental at Tahitian Princess II where luxuriously comfortable North Myrtle Beach condo rentals await you. Elliott Beach Rentals is not affiliated with onsite management or the HOA of Tahitian Princess Ii.